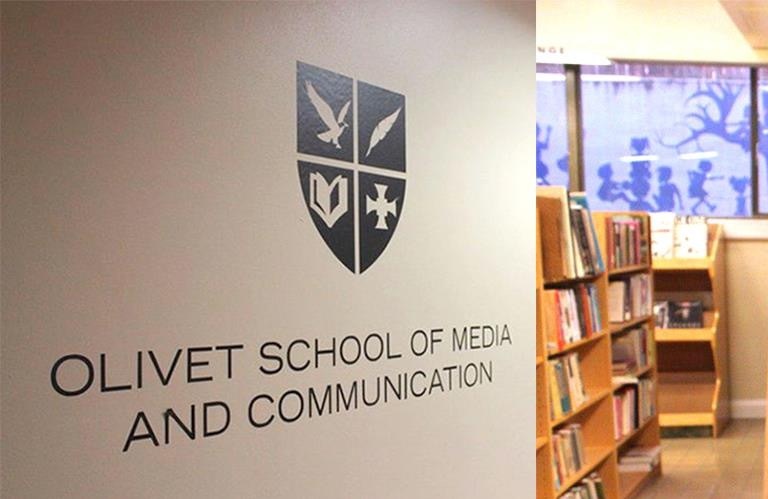 OLIVET UNIVERSITY NEWS - ABHE VP Dr. David Medders Visits Olivet School of Media and Communication in D.C.
By the grace of God, Olivet University welcomed a friend - Dr. David Medders, Vice President of Association for Biblical Higher Education (ABHE) at its Washington, D.C. location. On November 16, 2018, Dr. David Medders was warmly greeted by University Board Member Dr. Christopher Chou and D.C. Extension Site Director Dr. Sarah LaFleur. The afternoon fellowship consisted of a meaningful conversation on media and Christianity, followed by a tour of the facilities. It was an opportunity for all to reflect on how God is working around the world and the need to come together as one body of Christ. The vision and current activities happening at the School of Media and Communication in D.C. were also shared. Particularly exciting was the development of the newsroom where students will intern to gain hands-on practice in media. Dr. Medders offered a meaningful prayer at the end of the meeting, giving thanks to the Lord and praying for continuous co-work towards the Great Commission, "for such a time as this." Olivet University has held accreditation by the Association for Biblical Higher Education (ABHE) to award Certificates, Bachelor, Master's and Doctorate degrees since 2009. ABHE comprises a network of more than 200 institutions of biblical higher education, with a mission to ensure sound quality - academically, professionally and spiritually -in biblical institutions and programs in Canada, the United States and U.S. Territories.